iBall company has just launched its new tablet runs on Android Operating System, named as Slide Brisk 4G2 in India. It features voice calling and 4G VoLTE supports connectivity that has been priced at Rs. 8,999. 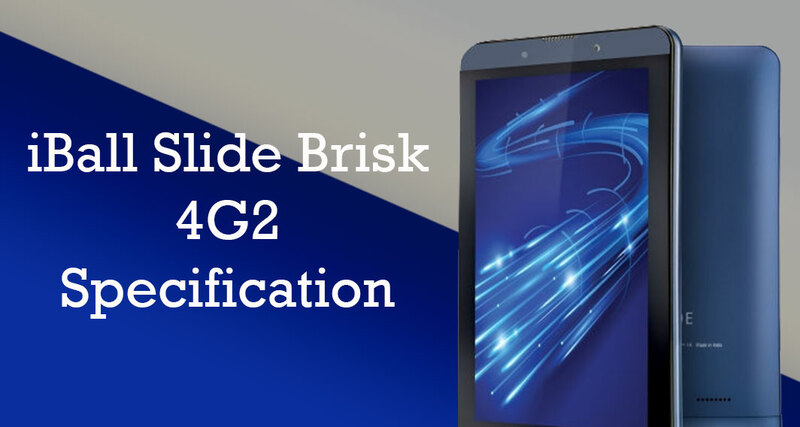 Slide Brisk 4G2 is the first 7-inch tablet for the company that offers 3GB of RAM for smooth multi-tasking. You can get this device only in Cobalt Blue colour variant from leading retail stores across the country. The tablet comes with some distinctive specs and features as compared to under Rs. 10,000 in the country. It features a 7-inch IPS HD display that carries a resolution of 720 X 1280 pixels. The tablet has a dual (Micro+Micro) slot with both 4G and 3G connectivity that runs on Android 6.0 Marshmallow out of the box. Under the hood, it is equipped with a quad-core 64-bit processor along with Mali-T720 GPU and 3GB of RAM. It provides a 16GB of internal memory which is further expandable via microSD card up to 32GB. As far as cameras are concerned, it sports a 5-megapixel autofocus rear camera with LED flash while the front-facing camera is a 2 megapixel for video calling. Slide Brisk 4G2 also comes with a 3.5mm audio jack and FM radio with recording. In the terms of connectivity, it offers 4G VoLTE, 3G, Wi-Fi, GPS/ A-GPS, Bluetooth v4.0, USB OTG and other connectivity options. iBall offers a 3500mAh non-removable battery for the phone. To get more information about Android phones, stay tuned with us.